Sarasas Witaed Romklao School is a bilingual and international school with more than 4,000 students and 150 foreign teachers and is one of the 43 Sarasas Affiliated Schools. It is located near Ladkrabang Airport Link, Suwannaphum International Airport on Romklao 44 Road. Prospective candidates are warmly invited to send in your resume. Please contact by email ‘<sbo384@rocketmail.com>’. • The starting date of work is on 13th of May, 2019. 1. 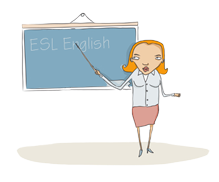 Native English speaking teachers must hold a Bachelor’s Degree in any field. 2. Able to make a commitment to work for at least a one year contract. 1. Approximately 4 months’ holiday a year. 2. The contract is a twelve-month pay through the bank. 3. Health Insurance covers 5,000 Baht a year and is effective from the first day of work. 4. The school pays 5,000 Baht for a work permit and visa. 6. Office hours are from 7.30-15.30. 7. Curriculum textbooks are provided. 8. Teaching load is about 20 periods per week.